Gene Simmons and Paul Stanley of KISS announced on January14, 2019 that they will offer free food to every TSA employee working without pay throughout the partial government shutdown at their family-friendly Rock & Brews Restaurants nationwide. "We are proud to operate restaurants at airports and respect the diligent, hard work of each and every TSA employee to ensure the safety of travelers," Simmons and Stanley said in a joint statement. "They touch our lives daily, and as long as they are working without pay, the least we can do is provide them with a delicious meal to show our support." Effective immediately, Rock & Brews Restaurants will offer a choice of a free Pulled Pork sandwich or a Strawberry Fields salad to TSA employees who show their ID card. The free meal offer will continue until the TSA workers get paid again. The offer is good for one meal a day at all free-standing Rock & Brews locations. Due to security limitations, airport, arena and casino locations are excluded. For locations or more information, visit rockandbrews.com. Rock & Brews is a one-of-a-kind, rock-inspired restaurant and entertainment concept designed to engage people of all ages with quality handcrafted American food and local favorites, a broad selection of craft and international beers, and an energized environment that is reminiscent of being at a family-friendly music event. 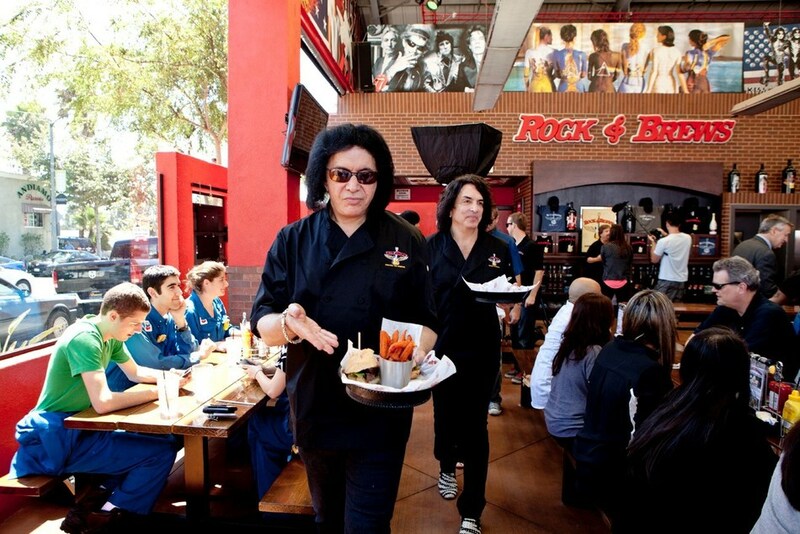 Founded by rock icons Gene Simmons and Paul Stanley of KISS, along with partners, restaurateur Michael Zislis and concert industry veterans Dave and Dell Furano, the first Rock & Brews opened near Los Angeles International Airport in Southern California in April of 2010. Each of the brand's 22 locations in the United States and Mexico boasts a backstage environment showcasing a "Great Wall of Rock," iconic rock art, concert trusses and lighting and multiple flat screens sharing some of the greatest rock concert moments of all time. Most offer a play area for kids and many are dog friendly. For more information, please visit www.rockandbrews.com.